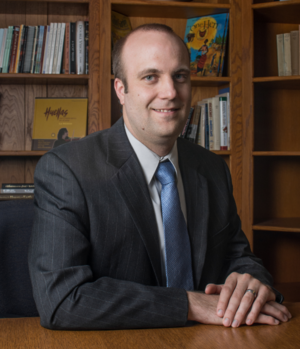 Ben brings finance, business startup experience, and theological training to the Camino Foundation. After graduating in 2007 with a degree in Business Finance from the University of Northern Colorado, he worked as a commercial loan underwriter with Wells Fargo. In 2008, after receiving a promotion to Collateral Auditor with the Asset Based Lending division of Wells Fargo, Ben moved to Texas and enrolled at Dallas Theological Seminary. Eventually Ben would leave Wells Fargo to focus on his education and began working in the finance department at Camino Global (then CAM International). While working at Camino, Ben helped incubate HOPE Coffee into the for profit endeavor it has become. Through his business background, theological training, and experience with HOPE Coffee, Ben has become passionate about seeing business impact the world with the gospel for God’s glory. As a result of this passion, Ben was the catalyst for Camino Global creating the Camino Foundation in June of 2014 and has served as its president since the launch. Ben and his wife, Jaymi, have two young boys. They presently live in Mesquite, Texas. Jaymi serves as a training coach for Pioneer Bible Translators. 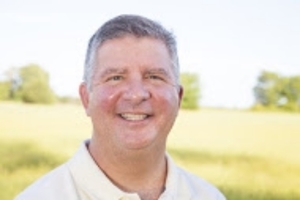 Steve brings a variety of business, legal and theological training and experience to the Camino Foundation. After graduating from Texas A&M in 1984 as a chemical engineer, he worked as a process engineer in petro-chemicals, then became Vice-President of Forman Industries, Inc. a truck equipment company headquartered in Lubbock. Steve is a member of the Texas Bar. He graduated from Texas Tech School of Law in 1992 and practiced law for 20 years defending businesses in litigation. He was a partner at Germer Gertz LLC, with offices in Beaumont, Houston and Austin. God worked mightily in Steve’s life following an accident involving his daughter. Steve returned to Dallas Theological Seminary and earned his ThM in 2012. He served as Executive Pastor of a church in Oklahoma from 2013-2015. Steve became passionate about the theology of work and the integration of business and the gospel during his studies in seminary. He worked with Camino Global and Hope Coffee during the formation of the Camino Foundation and served as the Chair of the Board of Directors in 2014-2015. He joined the Foundation as the full-time Director of Business Development in 2016. Steve and his wife, Jeanette, have three adult daughters. Steve and Jeanette live in Dallas where Jeanette is the Senior Accountant at Camino Global.